BARE "BARE IT ALL" Year "Soap of the Month"
BARE’s BLOCK Bar Soaps are made with organic ingredients (85%). These all natural soaps are made with organic oils including: organic palm, organic extra virgin olive oil, organic coconut oil and organic sunflower oil. 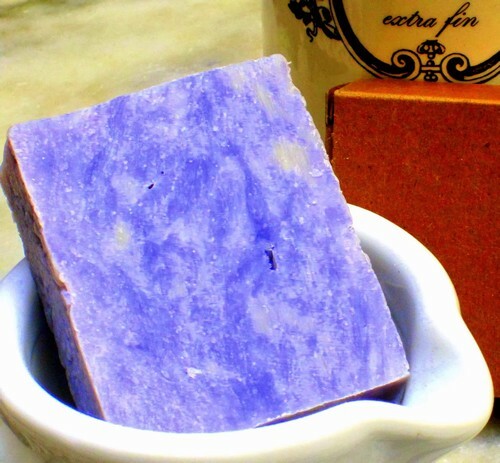 Some of the soaps may also include other organic oils like organic Shea butter or others. After our base oils, we add natural essential oils (natural fragrances) to give the soaps a wonderful natural aroma and natural herbs and clay for color. These soaps are made "BLOCK style" which is a big BLOCK mold which we then cut into sheets, loaves then bars.